Bring Us to your School or Community! PYC offers leadership workshops for student and youth, professional trainings for educators and staff, Safe Zone trainings for community members, and policy briefings on LGBTQ youth issues. Does your community want to learn more about issues facing LGBTQ students? 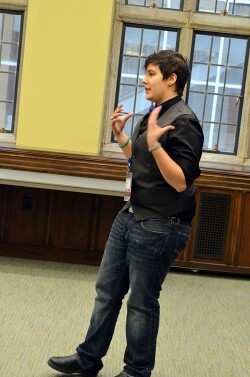 What about best practices for empowering LGBTQ youth leaders? What are the current laws and polices which impact young LGBTQ Pennsylvanians? 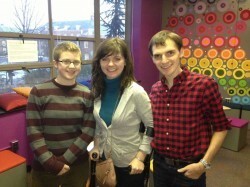 PYC is the first and only agency available statewide for LGBTQ-related trainings in Pennsylvania! Please complete the Workshop Request Form to secure PYC for a workshop session. To invite a PYC speaker to deliver formal remarks for an event or conference, please complete the Featured Speaker Request Form. PYC trainings are conducted by professional youth staff. PYC staff are veteran trainers who have facilitated numerous workshop sessions at high schools, colleges, and universities throughout Pennsylvania. We custom plan each session to best fit your objectives. You may visit our Workshop Listing page to learn more about our signature sessions. We look forward to connecting with you to design and facilitate a workshop or policy briefing for your community!